The apex of the pyramid, this singular S Tier build beats everything else out these in Season 11 so far. If you like the Necromancer and want to crush those Greater Rifts solo, this is the best option available. NOTE: The following entry is an excerpt from Rhykker. With the necromancer less than a month old and already topping the leaderboard clears of any other class, it more than deserves the number one spot on this list and entire tier level unto itself. Clearing GR 115s after only being out for a few weeks, it's entirely possible we have yet to unleash the full power of the necromancer, and we may see it climb higher yet. 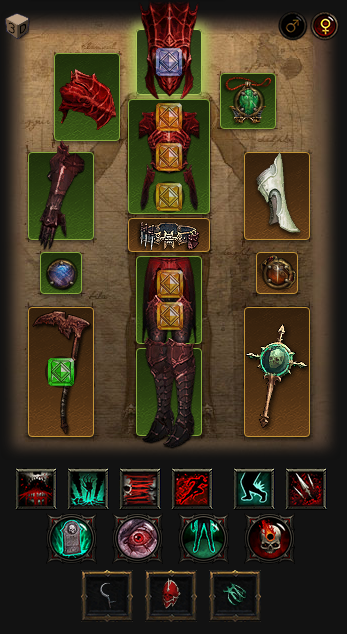 The Trag Oul corpse lance build is currently the necromancer build that has proven itself on the leaderboards, but who knows what other combinations theorycrafters will find. If you want to push as high as you possibly can this season, necromancer will be the way to go. We have a build guide for the trag oul corpse lance build.